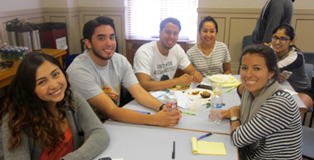 The UC Berkeley Center for Labor Research and Education (Labor Center) and co-sponsor San Francisco Central Labor Council are offering students an opportunity to spend their summer learning about social and economic justice and reflecting on the intersections of race, class, and gender and immigration in the labor movement. Labor Summer is a full-time, PAID, intensive eight-week educational internship program. 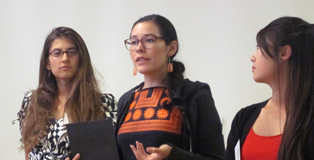 Students learn from and work with labor and community organizations in Northern and Central California, applying their skills in real-world settings on issues vital to the state’s working people. The internship will run for eight weeks from Monday, June 17 to Friday, August 9, 2019. This includes an intensive orientation from June 17-21 on the UC Berkeley campus. Interns must be available for the entire length of the internship to be eligible for participation. "Labor Summer was an unforgettable glimpse into the exciting challenges, unique opportunities and transformative experiences provided by the labor movement. I wish I could come again next summer." 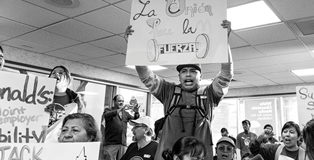 "The labor movement isn't just about labor/worker organizing—it's about immigrant rights, gender equity, environmental justice, food justice, etc. I had never fully realized how intersectional it was as a whole or how intersectional I needed to be in practice."